2017.10.19 Photo on top page was updated. In Kato Lab., strong electron correlation and nonequilibrium properties in solid-state systems are studied theoretically mainly by focusing on transport phenomena. Staffs and students are studying nonequilibrium properties in mesoscopic systems, whose length scale is between macroscopic and microscopic systems, and are making efforts to find a novel discovery in this research field. [出版] 論文が出版されました. 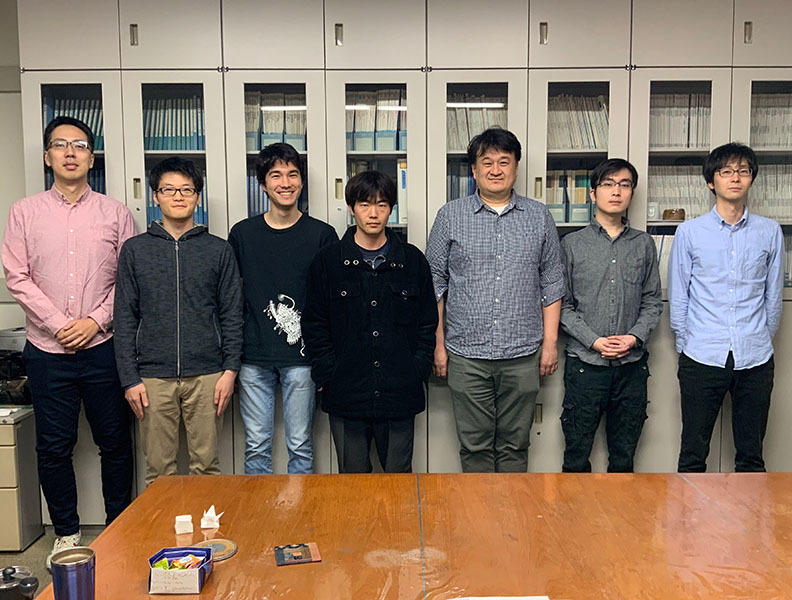 T. Kato, Y. Ohnuma, M. Matsuo, J. Rech, T. Jonckheere, and T. Martin, Phys. Rev. B 99, 144411 (2019). [プレプリント]長谷川さんの新しい論文が出ました. M. Hasegawa, É. Jussiau, R. S. Whitney, arXiv:1904.06488. [プレプリント] 新しい論文が出ました. T. Yamamoto and T. Kato, arXiv:1904.03051. [出版] 論文が出版されました. R. Sakano, A. Oguri, Y. Nishikawa and E. Abe, Phys. Rev. B 99, 155106 (2019).